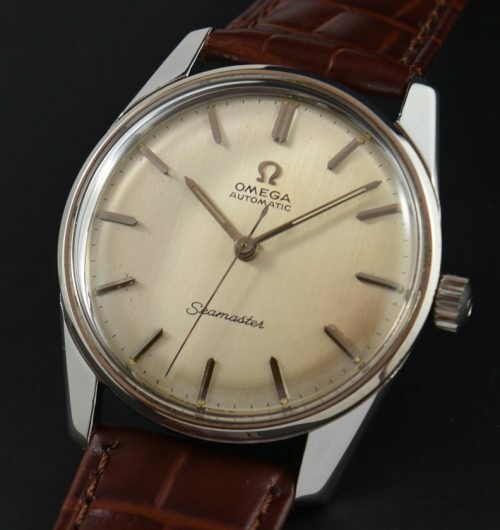 Here is a vintage 1966 stainless steel OMEGA SEAMASTER having “beefy” lugs, screw-back, Omega winding crown and original dial with gentle ageing, original hands and arrow markers. The automatic winding caliber 552 movement was just cleaned and is accurately keeping time. This watch has an all-dial appearance and looks larger than its 33.75mm. case measurement. These “all-dial” OMEGAS really do look wonderful on the wrist!